Advisory Neighborhood Commission (ANC) 3E yesterday passed a resolution and Memorandum of Understanding in support of the Sunrise facility application on a 4:1 vote. Jonathan Bender, chair person of the ANC3E, opposed the Sunrise proposal. The application for the development is currently in front of the Board of Zoning Adjustment and is the subject of a BZA hearing next week, Wed, Nov 14. The BZA considers the ANC position but is not governed by it. "This is a really difficult project. It's in an R1-B zone." "There are a lot of concerns by the neighbors." "There is a lot of concern about parking." "There was a lot of concern about previous tenants at the church." "There were issues with large buses." "Yes, there will be more traffic than at the moment." "The traffic study showed some counter-intuitive results." "I would much prefer that there would be residential development on that site." The resolution and MOU include a number of contingencies pertaining to traffic, construction, parking, etc. Sunrise will pay $10,000 to a 'community fund’ that is to be controlled by the ANC. The ANC has supported every development put before them for at least eight years, so no big surprise here. See you all at the BZA hearing on November 14th! Mary Cheh, Council Woman for Ward 3, sent a letter recently to DDOT and the Board of Zoning Adjustments, raising the traffic and transport questions of the oversized Sunrise facility. We have, in fact, the same questions. Sunrise seeks to develop a project that would require at least 20 trucks a week for deliveries, a 7-ton shuttle bus multiple times a day on a site surrounded by streets where through trucks are banned, and a significant increase in car traffic of staff, visitors, and church-goers in a quiet neighborhood. Zoning regulations require 103 parking spaces for the proposed development of the 250-seat church and the 86-unit assisted living facility. Sunrise wants to reduce this requirement to 66 spaces in the underground garage. It is unclear how the church or Sunrise will share this parking, given the 24/7 activities of the facility and the parking that the church requires. The 75 daily staffers plus other caretakers, medical personnel, visitors to the Sunrise residents, and church participants would likely illegally park on the adjacent residential neighborhood streets. The development calls for a 250-seat church. 250 people generate traffic on Sunday but also throughout the week. The 66 proposed parking spaces for this kind of traffic is wholly inadequate; cars would illegally park on residential streets limited to residents. Additionally, the church has a history of renting to tenants who generate a lot of traffic. Sunrise estimates that a similar facility nearby had 10.2 ambulance trips (mean) from DCFD per month. Sunrise does not specify other ambulance services arriving at the facility nor have they provided numbers for fire trucks so the total number of fire and ambulance trips is unclear. These incidents will generate noise at all times of the day in a residential neighborhood. It is unclear whether additional ambulance demands would cause delays to other residents of the neighborhood. The letter is here in its entirety. Red Alert! Come to the ANC3E meeting this Thursday! The ANC3E is holding its meeting this Thursday, and Sunrise is on the agenda. We need you there to show the ANC that there continues to be widespread opposition to this massive development. All visitors arriving by car must park in the parking garage below the building. The entrance to the parking garage is on Massachusetts Ave just past the building entrance and parking is available for free. Join us on Facebook - and tell us why YOU love Tenleytown. 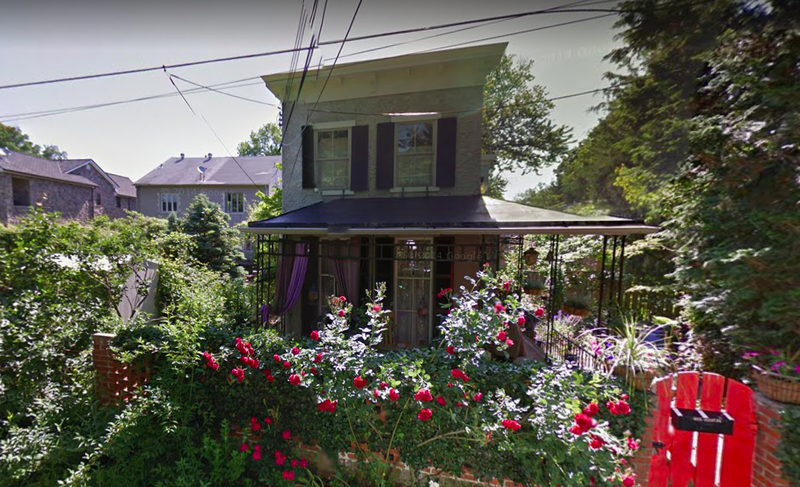 Come like us on Facebook and tell us why you love Tenleytown and its residential and bucolic character. We would love to hear from you, our neighbors in Tenleytown DC. And like us while you are there! We are here on Facebook, and you can also find us on Twitter. Come on over! We have beautiful yard signs to show overwhelmingly that this neighborhood is opposed to the oversized massive Sunrise facility. Get yours delivered by signing up here! UPDATE: Sunrise requested to be taken OFF the agenda for the ANC 3E meeting on October 11, 2018. The next ANC meeting is on October 11, 2018 at 7:30 pm. The ANC 3E will this time meet at the BOLD Center on 4000 Chesapeake Street NW. Directions are here. UPDATE: Sunrise requested to be taken off the agenda for the ANC 3E meeting today. The agenda can be found here. Not surprisingly, Sunrise is on the agenda again, this time possible for a vote of the ANC. It is important that as many neighbors as possible, opposing the development, show up. We will have yard signs available there as well. Sign up here if you want a yard sign delivered, and see you at the ANC 3E meeting! It appears that the Northwest Current has taken all articles pertaining to the Sunrise development in Tenleytown off its website. We wonder why. We will continue to upload the relevant copies or articles here to keep the neighborhood apprised of the ongoing debate and broad opposition to the oversized, massive commercial development in this residential neighborhood. According to BizNews, the Sunrise and the Wisconsin Avenue Baptist Church (as the owner of the property) file the application for the facility with the Board of Zoning Adjustment. The files under consideration by the BZA are here. We will keep readers apprised of hearing schedules and changes in submissions. There are two neighbor groups that have received standing with the BZA, opposing the development. Meanwhile, there are more than 200 neighbors who have signed the petition opposing the development, showing that opposition to the oversized commercial facility is deep and broad. There were recent letters to the editor by the Sunrise developer in the Current, and a subsequent letter to the editor by the pastor of Wisconsin Area Baptist Church. "Sunrise is asking for an exception to the single-family-detached zoning so that a for-profit senior retirement facility can join the church on a lot zoned for individual homes. Plus they are asking for variances to have increased height, an increase in the number of stories, a waiver of the mandate that half the lot be pervious, a request to eliminate the side-yard setback and a variance for a retaining wall, among other requests. They seek to develop a project that would require 20 trucks a week and a 7-ton shuttle bus when all the streets surrounding the site ban trucks." Meanwhile, there are over 200 neighbors who have signed a petition opposing the development as unsuitable for the residentially-zoned lot and the neighborhood of single-family homes. If you want to sign on, click here and show your opposition to this massive, commercial facility entirely wrong for this neighborhood. Reprint of a piece in the Current on the status of the project. Quote: “The proposed building was the object of heated debate at the Dec. 14 meeting of Advisory Neighborhood Commission 3E (Tenleytown, Friendship Heights). "Sunrise Senior Living hopes to construct a four-story assisted-living center off Tenley Circle, teaming up with Wisconsin Avenue Baptist Church to build a new house of worship and a care facility on the church’s 3920 Alton Place NW lot. Philip Kroskin, senior vice president at Sunrise, presented project plans at last Thursday’s meeting of Advisory Neighborhood Commission 3E (Friendship Heights, Tenleytown), where several residents offered vehement opposition."